Federal Stafford Loans are the cornerstone of many financial aid packages. While they always have to be paid back, they offer low interest rates, deferment of payment while enrolled in school, and flexible repayment plans once you graduate. Stafford Loans are available in both subsidized and unsubsidized incarnations. If you’re wondering about the difference between subsidized and unsubsidized Stafford Loans, the table below should answer many of your questions. Application Process Completion of FAFSA application. Completion of FAFSA application. How are Awards Determined? Awarded to students based on demonstrated financial need as shown by the EFC number calculated from information in the FAFSA application. Demonstrated financial need is not required. Award is based upon education cost minus any subsidized amount awarded. How much can I borrow? Between $3,500 and $8,500 per year, depending on grade level. Between $5,500 to $20,500 minus any subsidized amount awarded. Maximum amount awarded is based upon grade level and dependency status. Interest Rates The current interest rate, according to studentaid.ed.gov, is 4.5 percent for undergraduate students and 6.8 percent for graduate students. The government pays the interest while you are in school and during the post-graduation deferment period. The current interest rate, according to studentaid.ed.gov, is 6.8 percent. The student is responsible for all interest on the loan while enrolled in school and during the post-graduation deferment period. Payment of interest accrued while in school can be deferred until graduation. Repayment Options The standard repayment term is ten years. You can extend repayment through deferment or loan consolidation. Other repayment options include a graduated repayment plan, an income based repayment plan and an extended repayment plan for those with loans totaling more than $30,000. The standard repayment term is ten years. You can extend repayment through deferment or loan consolidation. Other repayment options include a graduated repayment plan, an income based repayment plan and an extended repayment plan for those with loans totaling more than $30,000. Enrollment Requirement Student must be enrolled at least half-time in an undergraduate or graduate program at a college or university that participates in the Federal Family Education Loan Program. Student must be enrolled at least half-time in an undergraduate or graduate program at a college or university that participates in the Federal Family Education Loan Program. Other Requirements Student must be a U.S. citizen or national, a permanent U.S. resident, or an eligible non-citizen. Student must not be in default on any education loan or owe a refund on an educational grant. Student must be a U.S. citizen or national, a permanent U.S. resident, or an eligible non-citizen. Student must not be in default on any education loan or owe a refund on an educational grant. As you can see, the main differences between subsidized and unsubsidized Stafford Loans are how the award is determined, how much a student can borrow, the interest rate, and whether or not the interest is paid by the government or the student while in school. While lower interest rates and subsidized interest payments are a great thing for those who qualify, in any subsidized vs unsubsidized Stafford Loans situation, every student will come out a winner. These days, most college students end up taking out some form of student loan to pay for their tuition, fees and other costs associated with a college degree program. While your non-federal student aid loan options may include home equity loans, personal loans and educational loans through your bank or credit union, a federal subsidized Stafford Loan, is preferable for many reasons. These reasons include the loan interest rate, subsidized interest payments, deferred loan payments and flexible repayment plans that are a part of every Stafford subsidized loan package. Sounds great, right? Its is! And if you’re wondering how to get a subsidized Stafford Loan, the answer is simple. All you need to do to be considered for a Stafford subsidized loan award is submit your FAFSA application before the deadline determined by your school of choice. The Free Application for Federal Student Aid is used by the Department of Education and your college or university’s financial aid department to determine which federal financial aid programs you qualify for as well as the amount of your aid award. 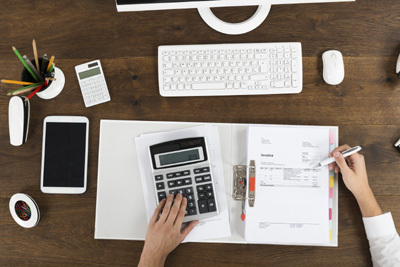 To qualify for subsidized Stafford Loans, you must demonstrate financial need. 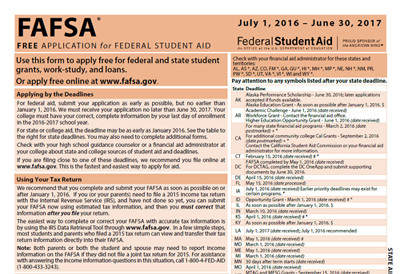 Many of the questions on the FAFSA application pertain to your year income and assets. If you are still considered a dependent of your parents for tax purposes, you will provide their income and asset information as well. The Department of Education uses this financial information to calculate your EFC number, or Expected Family Contribution number. This number correlates to the amount they expect you and your family to be able to contribute to paying education costs. The lower the EFC number, the greater the federal student aid award package you are likely to receive. Students must also be U.S. citizens, nationals, permanent residents or eligible non-citizens to receive a Stafford subsidized loan. In addition, they cannot be in default on any other educational loans or owe any grant refunds if they are to qualify. If adequate need is demonstrated, the other requirements met, and a subsidized Stafford Loan is awarded, you must be enrolled in college at least half-time to receive your award. Half-time credit requirements are determined by individual schools, so check with your college’s admissions or financial aid advisors to ensure you’ve enrolled for enough credits. You do not have to begin making subsidized Stafford Loan payments until after you graduate. There is generally a six-month grace period between your graduation date and the beginning of your required payments. According to studentaid.ed.gov, the current interest rate on subsidized Stafford Loans is 4.5 percent for undergraduates and 6.8 percent for graduate students. The government will pay the interest on your Stafford Loans while you are in school and during the grace period, so the total amount you owe will not grow. When you do begin making payments on your loan, you can choose from several options. These include the graduated repayment plan, the income based repayment plan and an extended repayment plan if your loans total more than $30,000. The standard repayment term is ten years. However, should you become unemployed or suffer financial hardship after graduation, you can request a deferment of payment from your lender until you’re back on your feet. These deferments will extend the payment term of your loans. According to the Department of Education, more than $100 billion in federal education loans and $10 billion in private student loans are awarded every year. Stafford Loans make up a big portion of that federal education loan amount. While subsidized Stafford Loans require a student to demonstrate financial need, unsubsidized Stafford Loans do not. 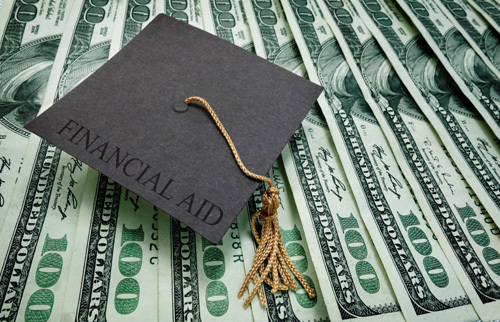 In fact, even students from higher income families who believe they will not qualify for federal student aid may find that they qualify for a federal unsubsidized Stafford Loan. Do you think you will qualify? If you’re a U.S. citizen, national, permanent resident or eligible non-citizen enrolling at least half time in a college or university that participates in the Federal Family Education Loan Program, it is likely that you will qualify for an unsubsidized federal Stafford Loan. This loan is an invaluable tool you can use to make financing your college education more convenient and affordable. The first step to receiving your unsubsidized Stafford Loans award is to submit your Free Application for Federal Student Aid (FAFSA). Check with your school for their filing deadline as well as insight into the documentation and information you’ll need to complete the application. You can complete your FAFSA online at www.fafsa.ed.gov and receive your Student Aid Report (SAR) containing the all-important EFC (expected family contribution) number within a week of submission. You will need to check studentaid.ed.gov, to find the current interest rate on a federal unsubsidized Stafford Loan since it varies. Interest will begin accruing as soon as the loan is disbursed. You will be responsible for paying the interest accrued. These interest payments can be made monthly or you can choose to defer them until after you graduate. If you chose this option, the interest owed will be added into your loan total. If you need help figuring interest on unsubsidized Stafford Loans, consult your lender or your school’s financial aid advisor. An unsubsidized federal Stafford Loan award may be between $5,500 and $20,500 each year, minus any subsidized amount awarded. Many students demonstrating some financial need receive a financial aid package that includes both subsidized and unsubsidized Stafford Loans. The maximum amount a student may be awarded each year is based on their grade level and whether or not they are considered independent for tax purposes. As an undergraduate, you may not borrow more than $46,000 total in federal education loans including both subsidized and unsubsidized Stafford Loans. As a graduate student, you can only borrow up to $138,500 in loans, and this amount includes any loans disbursed while you were an undergraduate. Six months after graduation from your undergraduate or graduate program (or otherwise ceasing to maintain half-time enrollment status), you will be required to begin making payments on your loans. Unsubsidized Stafford Loans, like their subsidized counterparts, offer several flexible repayment options. You can choose from the graduated repayment plan, the income based repayment plan and an extended repayment plan if your loans total more than $30,000. You can generally change your repayment plan at any time, and even request a deferment of payments if you encounter financial difficulty. This flexibility is perhaps the greatest benefit unsubsidized Stafford Loans have over other non-federal education loans available.